PLEASE JOIN US FOR OUR WELCOME BACK MEETING ON 9/12/2018, 6:30PM IN THE ST. FRANCIS XAVIER GYM. The St. Francis Xavier&apos;s Men&apos;s Club is both a social and service organization to the parish of St. Francis Xavier and is open to men of all religious denominations. While still in its early years of existence, the St. Francis Xavier Men&apos;s Club has proved itself to be a vital contributor to the quality of school life. Through its fund raising activities and donated skills from members, the St. Francis Xavier Men&apos;s club has made physical improvements in the campus and has significantly enhanced extracurricular programs, especially athletics and scouting. The Knights of Columbus is the world&apos;s foremost Catholic fraternal benefit society which has contributed time and energy worldwide to service in communities. The Knights of Columbus has more than 14,000 councils and 1.8 million members throughout the United States and around the world. The St. Francis Xavier Knights of Columbus, Council 8546, is a purpose-driven volunteer fraternal and family organization that focuses on activities that enhance our faith through spiritual education, assists parishioners through charitable activities, and works to strengthen families and our church community through activities that build on unity and patriotism. 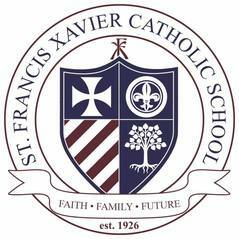 St. Francis Xavier’s Annual Fund is another opportunity to support current and future operations with the understanding and acceptance of the mission of our school. Our Annual Fund will assist with: capital improvement projects to improve our growing campus; and curriculum development to provide an environment of instructional resources and materials.